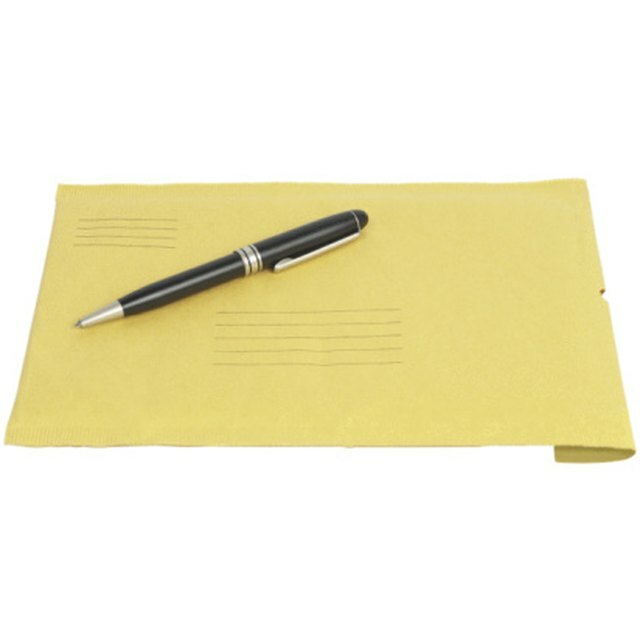 Envelopes have been around since the 1840s and remain a staple item for business correspondence. Envelopes come in a variety of styles as well as sizes to accommodate user needs. Business people can usually select the envelopes they require very easily because they come in several standard sizes. Envelopes used by businesses and organizations usually fall into one of two categories: those used for regular business correspondence and remittance envelopes. Business correspondence sizes start the smallest, designated “small business” or 6 1/4, which measures 3.5-by-6 inches. The largest standard size envelope is the #14, which is 5-by-11.5 inches. The #10 is the most widely used envelope for business correspondence and measures 4 1/8-by-9.5 inches. Remittance envelopes are commonly used to bill customers and to provide pre-addressed envelopes to return payments. The smallest remittance envelope, designated as 6 1/4, has dimensions of 3.5-by-6 inches. The largest commonly used remittance envelope is the #9, which measures 3 7/8-by-8 7/8 inches.